Over at Tweetspeak Poetry, Sandra Heska King has accepted a poetry dare. She’s reading a poem a day from Mahmoud Darwish’s “The Butterfly’s Burden” and writing poems as well. In her first post on the dare, she excerpted a poem called “I Waited for No One.” I liked it so much I looked up the rest of the poem. I did not wait for you. I waited for no one. from attention to herself while waiting for you! Yes, I get this. After reading the poem, I wanted to grab two wine glasses and gently break them a tiny bit, just enough to enact this scene. I’m done waiting. Done waiting for you to change or you to love me or you to forgive me or you to notice the nose on your own face. And yet, in not waiting I wait. I set out my two broken glasses and pour some wine. Not for me—my glass is unbroken, full enough. I prevent myself from attention that does not need to be paid while waiting for you. I waited for no one. I did not wait for you. Last Sunday morning, exactly a week ago, I received word that my grandmother, my Nanny, had passed away. We knew the end was near, but it still shocked me. When someone lives to be 101 1/2, well, you do kind of think they might live forever. Several years ago I wrote this piece for my grandmother about her late-in-life love for the San Antonio Spurs. I interviewed her and her brother, George McClaugherty, for the article. It’s no longer timely, but I wanted to share it, in memory of her. 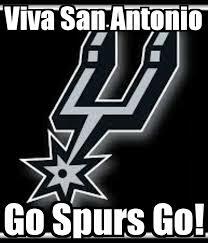 Never Too Late for Go Spurs, Go! Until she hit her 90s, Nell Hensley was not a sports fan, much less a basketball fan. These days the sports section is the first part of the paper that she reads. How did this 93-year-old woman go from being a sports-hater to a bona fide pro basketball fanatic? Well, that’s the effect the San Antonio Spurs have on the people of the Alamo City. Nell lives at the Towers on Park Lane, which is located across the street from Fort Sam Houston. Although she has resided in San Antonio for over 50 years, Hensley never followed the Spurs until recently. One spring evening a few years ago, while Nell was flipping channels, a Spurs game caught her eye. She didn’t know enough about basketball to know what team they were playing or what was happening. Nell is still learning the ins and outs of threes, fouls, and technicals. She used to go to bed after the weather forecast on the 10 o’clock news. Now she listens to the sports segment so she can check on her team. She said that following the Spurs helped her to face difficult situations, like her daughter’s recurrence with cancer. On October 27, 2006, she attended her first NBA game with her grandson-in-law (my husband). It was a preseason game. She knew immediately who the Spurs were playing this time. “Oh, that’s the Mavs. That’s Avery Johnson,” she said. Eight months later she was still talking about that preseason game. “It was the best thing that ever happened to me. I loved every minute of it!” she said. Nell dressed in a black pantsuit with silver emblems for the game. She’s never been the T-shirt type — more the three-inch heels type. Since fancy footwear doesn’t go well with a cane, she wore black flats by Easy Spirit. Until that game at the AT&T Center, Nell didn’t know that the Silver Dancers performed during halftime. She didn’t know about the Kiss-Me Cam or the Smile Cam. She didn’t know the Coyote came into the stands and flirted with the audience. Her grandson-in-law bought her a pair of Spurs pom-poms, and she shook them at the Coyote when he came to her section. “It was the most beautiful thing!” she gushed. That Christmas, her great-grandson (my son) gave her a Spurs key chain embossed with her name. She carries her access card, which functions like a key, on a plastic spiral bracelet. Nell’s Spurs key chain now dangles from that same bracelet, announcing to everyone her love for her favorite team. She said that the Spurs have many fans at the Towers, “and a lot of them single ladies.” When residents see her key chain, they talk Spurs: Ginobili. Duncan. Parker. “I’m always into Tony Parker. He’s so cute the way he does it,” Nell said. Her favorite Spur is Tim Duncan, Mr. Fundamental. If Nell had been a fan 25 years ago, she could have attended home games with her brother and seen another Spurs icon — George “Iceman” Gervin. In the early 1980s, when the Spurs played downtown at the old HemisFair Arena, Nell’s brother, George McClaugherty, and his wife, Shirley, had season tickets. But Nell never attended a game with them. “It never dawned on me that I’d want to see them,” she said. Now she wishes she had taken an interest earlier. If she had, she might have participated in an exciting night. Her brother was a friend of then-coach Stan Albeck. On a night the Spurs played the Knicks, Shirley McClaugherty was in a car wreck. The radio announcers later dedicated the game to her. Afterwards, Coach Albeck came to Northeast Hospital to bring the McClaughertys a game ball signed by both teams. Nell may only have a key chain to symbolize her devotion to the Spurs, but her friends and family know her passion for the team is real. She predicted how the 2007 championship series would unfold. The Spurs certainly did have their rhythm. They swept the Cavs in four games, and Nell was glued to her television for each one. Although she became a fan late in life, Nell was not too late to experience the joy that comes when the home team wins a national championship. For the Spurs, it was their fourth title. For Nell, it was her first. 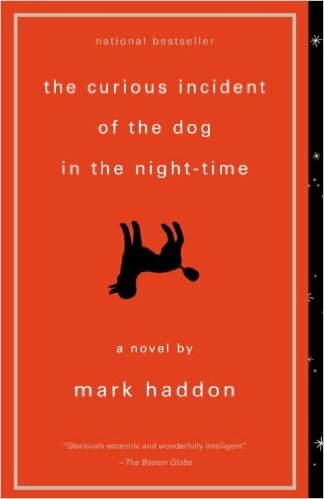 I just finished reading Mark Haddon’s novel “The Curious Incident of the Dog in the Night-Time.” It’s also been made into a play, and it won Best Play at this year’s Tony Awards. The narrator, Christopher Boone, is “15 years and 3 months and 2 days” old, and he is very good at math (or shall we say “maths,” since this book is set in England). He also describes himself as someone who has “Behavioral Problems.” Other people reading the book or watching the play have suspected that he is on the autism spectrum, although the author never says that. 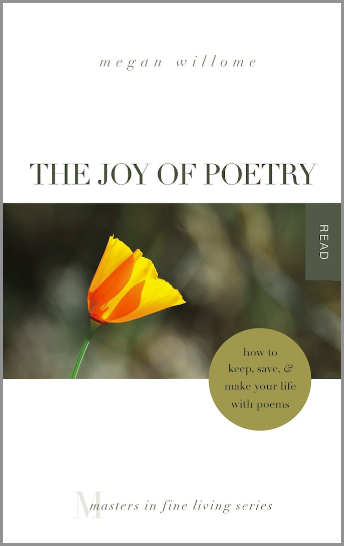 The author also never mentions poetry, but it’s there on nearly every page. We don’t normally think of poetry having anything to do with math, but math is simply a method of using symbols (numbers) to represent a way of understanding the world. One way Christopher understands the world is through prime numbers. “Prime numbers are what is left when you have taken all the patterns away,” he tells us. That’s essentially what happens in the book. There is a mystery—a dead dog—and in trying to discover the pattern behind that mystery, Christopher discovers a bigger mystery with its own patterns that intersect the first. In the end he is reduced to his own personal prime numbers: He will get As on his A-level further maths and physics exams; he will go to university; he will become a scientist. There are even proofs for these primes, but if I told you those, I’d ruin the very wonderful ending. Christopher also provides an excellent definition of metaphor, a commonly used poetic device, and frankly, one that trips people up. Christopher tells us that the word “metaphor” comes from two Greek words, which together mean “to carry from one place to another.” Then he adds, rather sagely, “That means that the word metaphor is a metaphor.” Maybe that’s why it can be tricky. Christopher thinks a metaphor should more accurately be called a lie. Because if you say you have a skeleton in your closet and you don’t, then it’s a lie, he explains. Do you struggle with metaphors? Perhaps it’s because you’re one of those rare folks who always tell the literal truth. For all you liars out there, you didn’t realize you had something in common with poets, did you? Oh, so they’re just lying! Well, then. 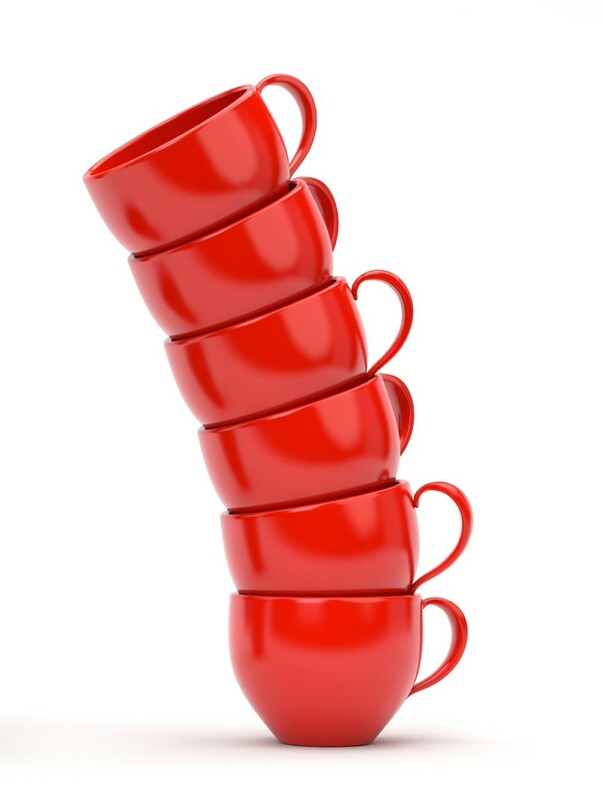 Pour me another cuppa! The other way that Christopher is a poet is because of this first sentence of chapter 181 (each chapter is a prime number): “I see everything.” Everything. Christopher goes on to explain, “most people are lazy. They never look at anything, They do what is called glancing, which is the same word for bumping off something and carrying on in almost the same direction, e.g. when a snooker ball glances off another snooker ball.” Yes, we glance. We might stand in a field in the countryside, notice a few vague items, and then move on to other thoughts, like, What’s for dinner? I wish I saw like that, because that, my friends, is poetry. Not some cows in a field but 19 cows facing uphill, that is, northeast, and which one would you like me to describe? On April 8 our church welcomed a one-woman performance of “St. Thérèse: The Story of a Soul.” If it comes to your town, go! I knew vaguely who Thérèse of Lisieux was, and I’d read some of her autobiography years ago. I decided to reread it after the show. It has been life-changing. Thérèse was not who I thought she was. She was tougher. Wiser. Troubling at times. She trusted her Lord as most clearly revealed in the Child Jesus in ways I’d never heard. Here’s an example. She imagined that the Child Jesus might play with her as he would a toy ball, and if he wanted to play with her for a while and then leave her on the ground, she didn’t mind. Here’s another of her favorite images: Jesus asleep in the boat. Do you remember that story from Mark 4? It’s always bothered me, just as it bothered the disciples who lived through it. Thérèse loved the story. She could trust, knowing Jesus was with her, albeit asleep. And yet, reading her words has had exactly this effect on me. I don’t need to strive. I can trust. He’s here. He’s asleep. He doesn’t even need to glance my way.